Personally, I think this comes down to one fatal flaw - you aren't maximizing your studio time. Time management is the key to finishing more tracks! When a producer spends their studio time writing a song, while they’re mixing down, while they’re doing synthesis, while they’re on Facebook, without any sort of game plan, OF COURSE you wouldn’t finish that song. At least not quickly, that’s for sure. And when a song doesn’t get done quickly, the main idea or emotion is usually lost, and thus, it never get’s finished. For that reason we wanted to give you 7 ways to maximize your studio time. These tips I learned in the past few years will help you sit down, stay focused, and finish that track while the idea is fresh. Imagine your finished song as being a finished dish at a restaurant. When in kitchen there is always a “prepping” stage where all the ingredients are organized, chopped up, and prepped - long before the chef ever cooks the dish. This is just like music production. You should have all of your ingredients organized long beforehand, so when you get in the studio you’re ready to sit down and just write. How many times have you been writing a track, only to get lost for hours designing a bass. Had you designed tons of basses ahead of time, you could have easily sat down picked one, and kept writing. That’s why I recommend separating your sessions between “prep” sessions and “writing” sessions. These prep sessions are when you should be designing your basses, organizing your drums etc…. So when you sit down to write you can do nothing but. The best part too, is these prep sessions can occur when you have only a few hours, or even minutes, saving your larger chunks of time for just writing. A few years ago I spent an entire day creating kick drums. I came up with a set of 5 of my favorite kick drums I have ever created and I used them for over a year. Because of this, when I began to write a song, I already had the perfect kick drums to start writing with, thus saving me tons of time people usually spend searching for one in their sample library. These kicks can now be found in our Future Bass Drums Vol 1 sample pack! Now this one should go without saying, but often it’s too easy to find yourself suddenly on Facebook when you’re writing music. You are on the same device after all. Well you should be getting in the habit of COMPLETELY removing all these distractions. Unplug your internet, shut off your phone, and even more useful is full-screen your DAW. The ability to full-screen your DAW is a really useful one because you can eliminate the option of even clicking your browser. If you want to be extra vigilant, you can download apps like Freedom that block set webpages so if you do accidentally go to them out of habit, they won't pull up for the time period you set. 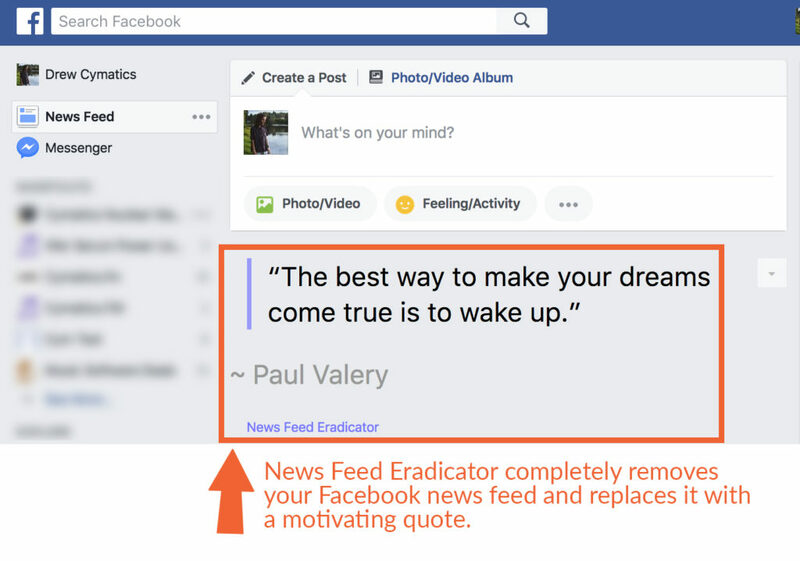 I personally use News Feed Eradicator for Google Chrome during work hours because it allows me to keep up with business messages and our Facebook group, while still blocking the distracting Facebook news feed! If you live with other people, I highly recommend you even leave a do no disturb sign on your door. To really take things to the next level, turn off all the lights, black out your windows, shut off all your devices, and full-screen your DAW to be completely laser focused. I know this sounds extreme, but this is a key step to finishing more tracks! Too often it’s easy to get completely lost while producing a track, almost guessing at what to do next. The best way to avoid this is to create a to-do list! With a to-do list, you will always know what your next move is so you can just perform action after action and finish that track quickly. The best part of a to-do list as well is you can focus on only the most important tasks first, and then can slowly come back to “add velocity to your hi-hats”, or “add riser on bar 8”. One thing I used to do is listen to my tracks on the way to work in my car, or even on my work breaks in my headphones. It got me EXCITED to work on my tracks, which is a key part of actually finishing tracks! Once you get used to your list, you can move on to our next tip. Sometimes even the supposed best ideas for a track can be a big waste of time. I have found myself many times trying to write the lead line, 45 minutes goes by and I still haven’t achieved it. Now I’m so set on the idea, and don’t want that song to go on without it. I then force and fight it into the song, taking another hour or two, only to have this overworked mess that was never as good as the original idea. In retrospect, it would have probably been a better idea to drop the idea, and move on to something I could actually do. There is a great way to prevent this, and that’s adding time-limits. By setting time-limits for each idea on your list, you’ll know when it’s starting to feel like a forced idea. Not only that, but these limits will help you keep laser focused, not wasting a second. This tip may be a bit more of a controversial one, but I think is truly one of the most important. I’ve been in collabs before where my partner has insisted on EQing or compressing every element as we went. Before we knew it our entire studio session was over and we had maybe gotten through 25% of the song. Had we just worried about the mix down after, and only focused on the song writing we would have likely finished the song. Don't get me wrong - it is a GREAT idea to gain stage/ set your levels as you go. The mix can always be attended to in a different state of mind later, but the song should be done while you’re in the creative headspace. Not to mention it might even better to do it later so you can be in a mixing state of mind and have fresh ears. Just like you would prep ingredients beforehand, you should also be polishing your sounds after so you can focus on what’s most important first. The unlimited options of music can be overwhelming at times, especially as a new producer. So why not let the pros make the decisions for you? Keep in mind, this does NOT mean to copy songs exactly... This will lead to lack of creativity and actually hurt you long term. Often times what I’ll do is take one of my favorite tracks, and break it down in an Ableton session in 2 ways. The first way is breaking down the arrangement in the timeline sense. I typically put the song in a session and use the timeline markers to mark things like “intro”, “build” or “chorus”. The next way I would break it down is actually be elements. I like to use blank MIDI clips to mark “Bass” in this section, “Drums” come in in this section and so on. By using an already successful formula, I don’t even need to think about what to do next, the decisions have already been made for me. We consider our Ableton, FL Studio, and Logic Pro Project Files to be some of the greatest educational tools out there for new producers. One thing that we don’t mention enough and probably should, is that they are also excellent production templates. By taking on our projects and removing all the MIDI and drum patterns, you are left with a clean slate of absolutely perfect, polished, professional sounds. You can simply open up one of these sessions, and start writing the drum patterns or bass patterns with these polished sounds. This can be a huge time saver! I am not saying that you should always start with a template, but if you have a good idea in your head for a song, starting completely from scratch may make you lose your vision. Maximizing your studio time and speeding up your workflow is one of the most important things to do as a producer. Try applying these tips and I can almost guarantee you will see an instant improvement! There are THOUSANDS of free samples, Serum presets, MIDI, project files, and more!